Make your selection and then press the "generate" button. As the password is displayed, a colored "strength" bar appears underneath showing you how secure the password is. 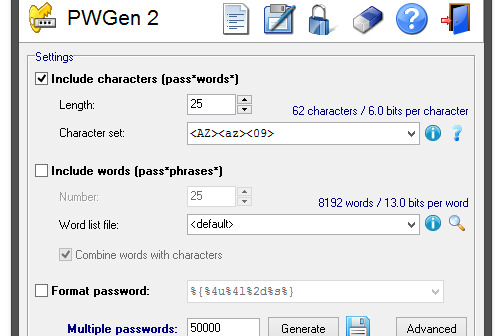 Graduate from simple, guessable passwords to Herculean ones with this open-source password generator.